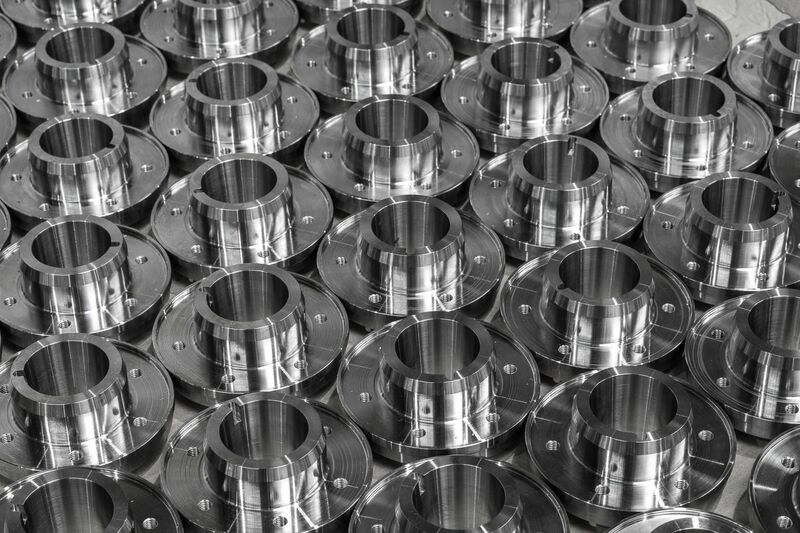 Products - Kuźnia Polska - ponad 200 lat doświadczenia w kuźnictwie! 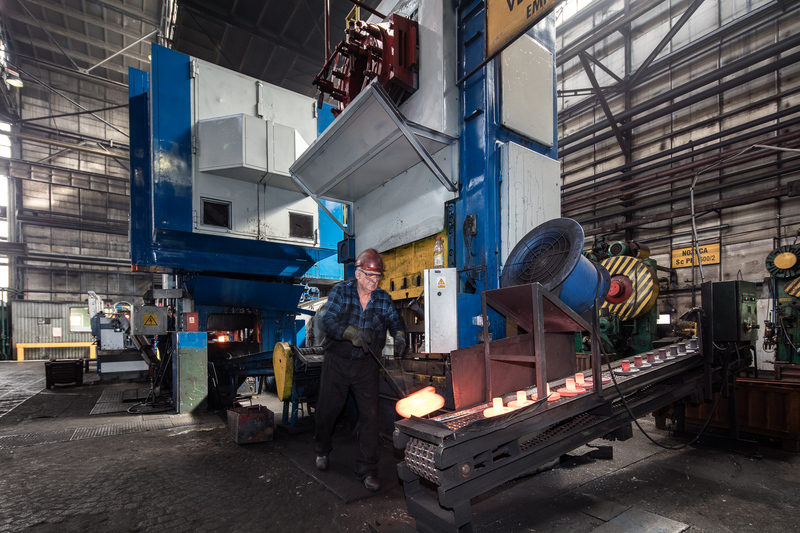 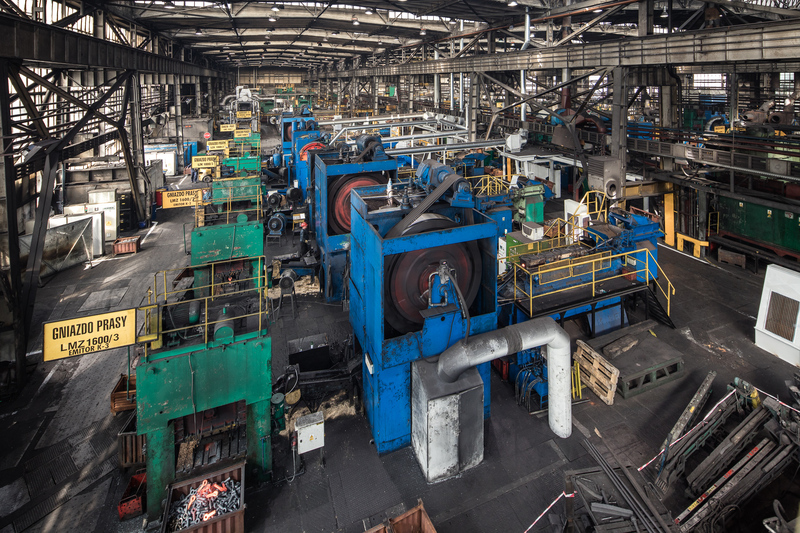 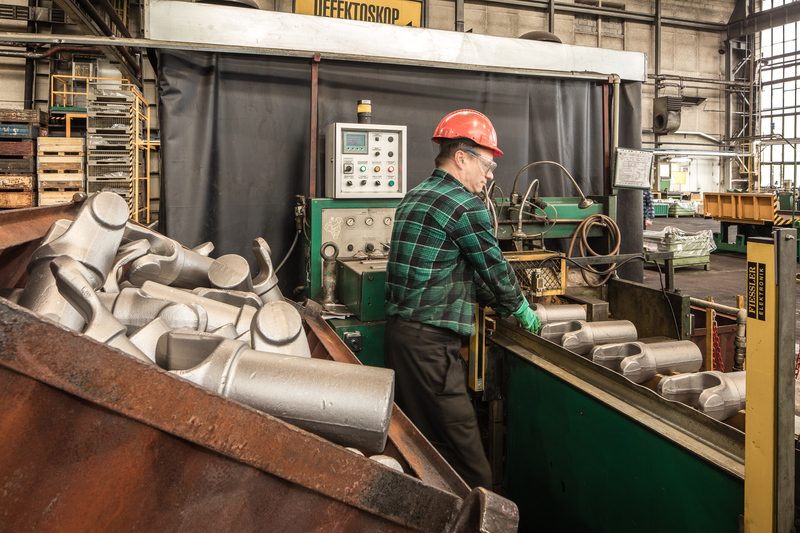 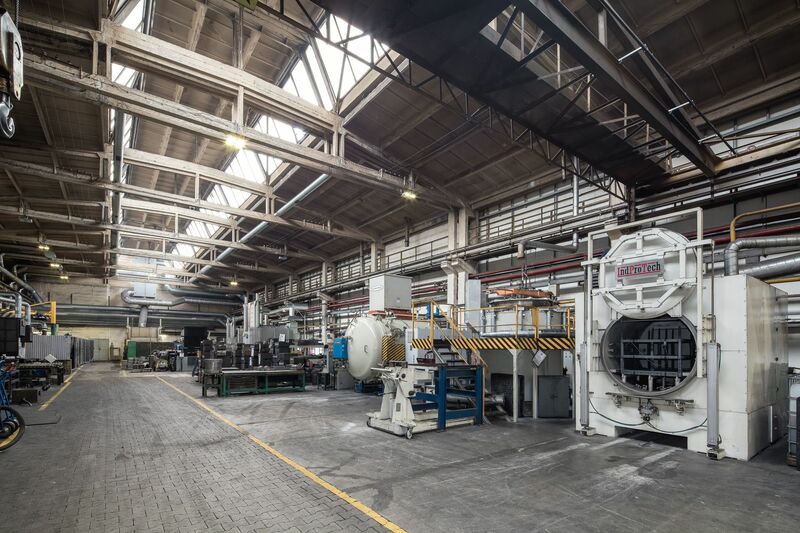 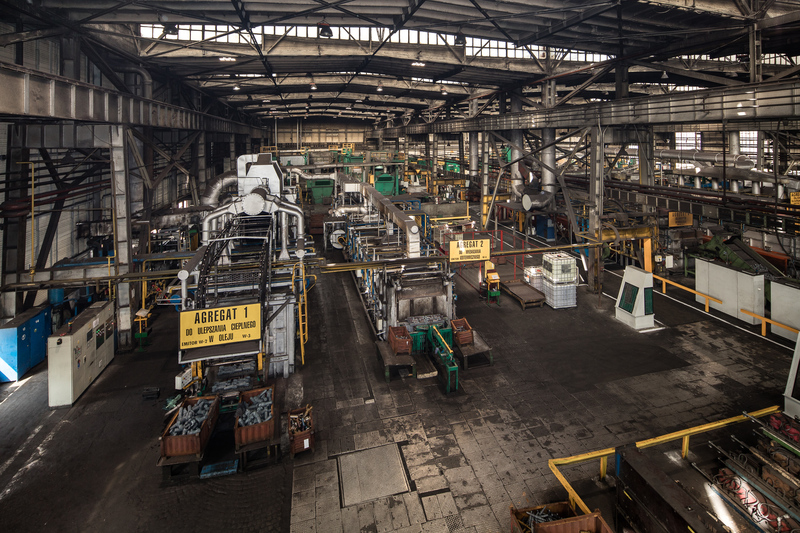 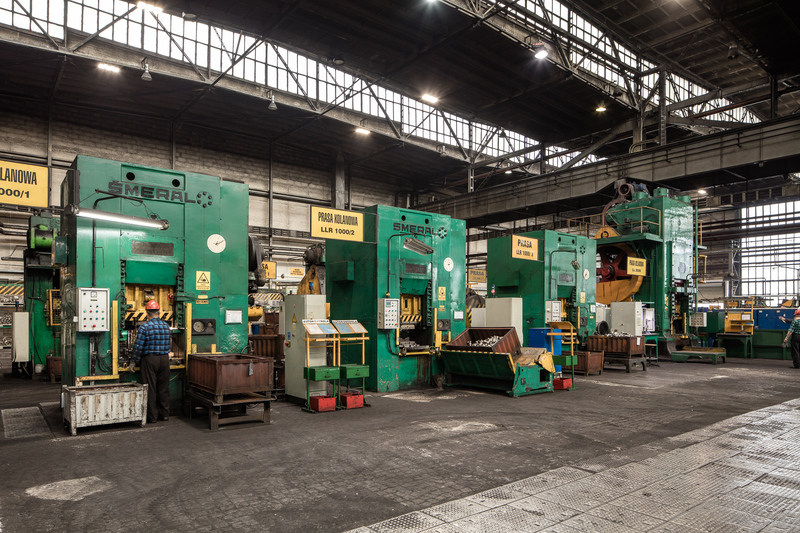 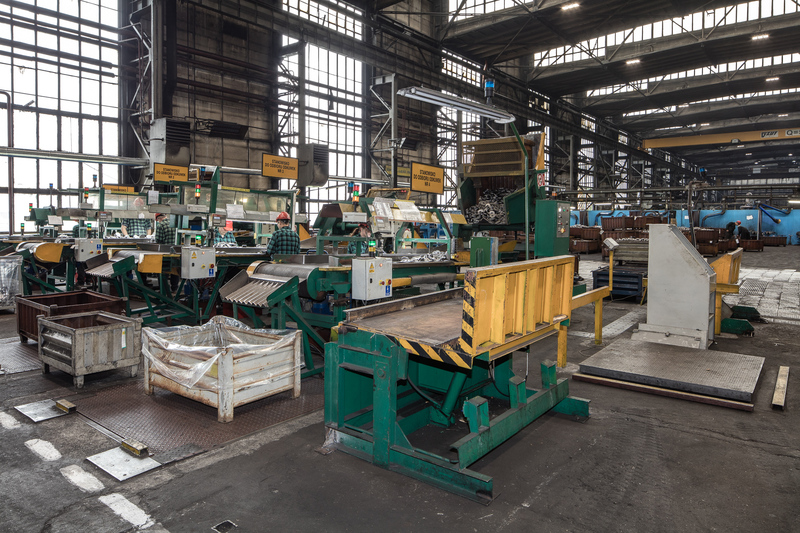 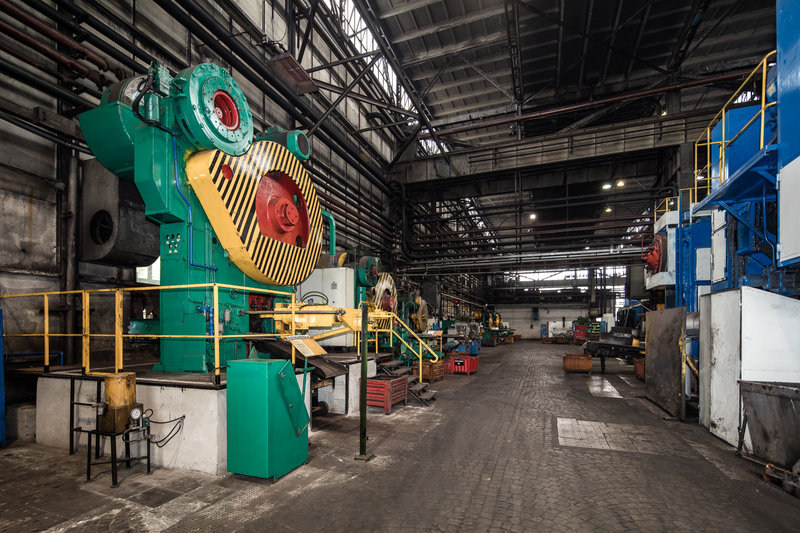 The basic technology in the production of forgings, made at Kuźnia Polska, is the hot forging of die forgings weighing up to 25 kilograms using forging presses, crank presses with Direct Drive System, forging automatic – Transfer, air hammers and upsetting machines. 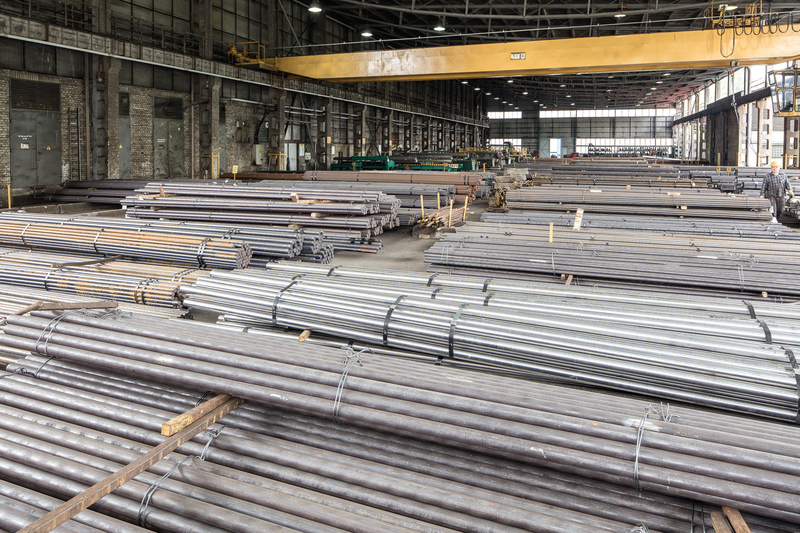 We use high quality carbon, alloy, stainless steel in over 100 grades storing them onto the area of 4000 m2. 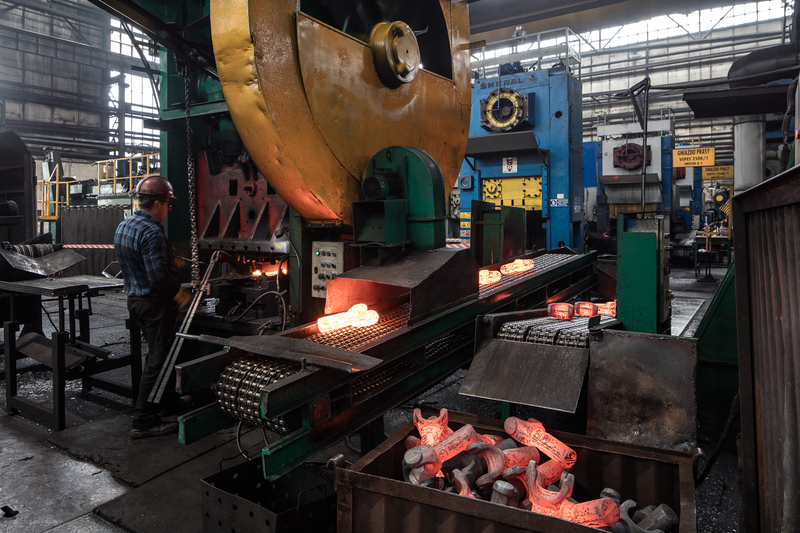 Heating of sheared pieces of steel, called charges, to temperature of 1,200˚ C in electric induction furnaces or gas-fired furnaces and their subsequent forming of the required element in a die. 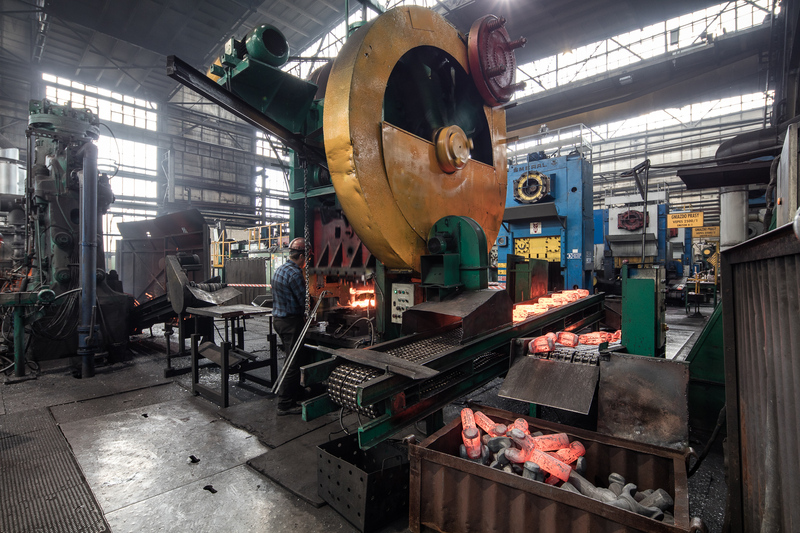 In the forging of forging-crank-operated forging presses of 10 to 25 MN pressure, air hammers with a striking forth (hit energy) between 1,600 to 10,000 KGm and vertical and horizontal forging machines with 2 to 12 MN pressure are used. 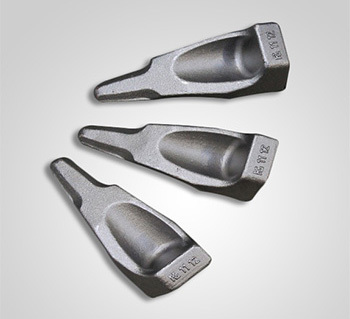 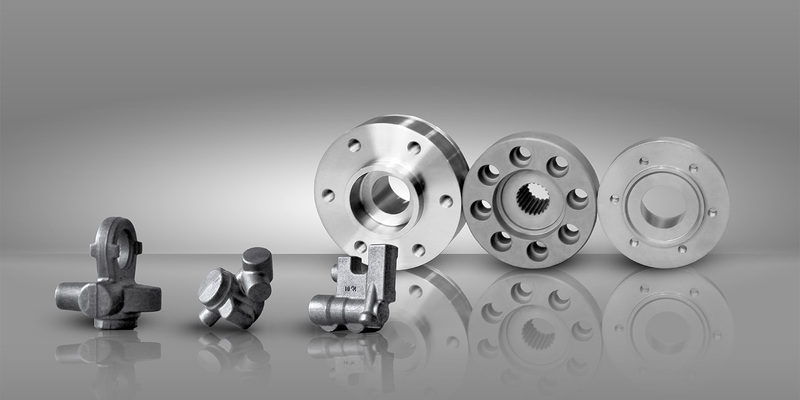 It is also possible to manufacture small mass forgings – i.e. 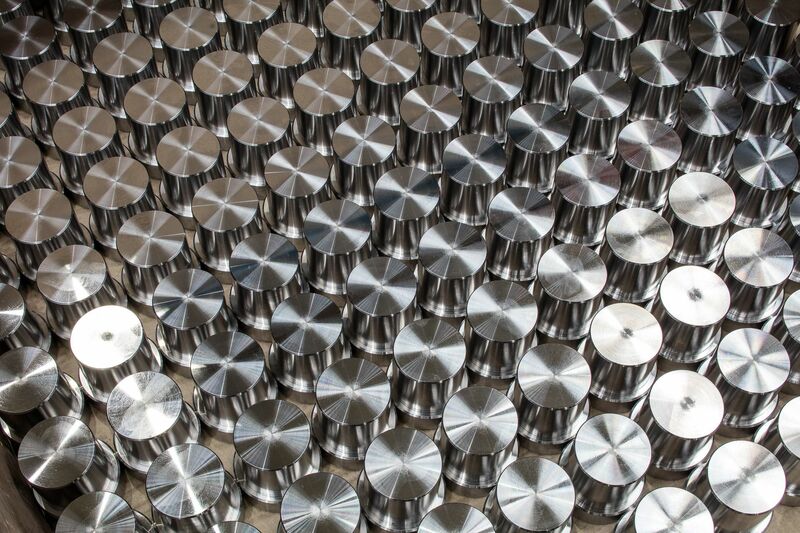 from as little as 0.25 kilograms using PS-type screw presses. 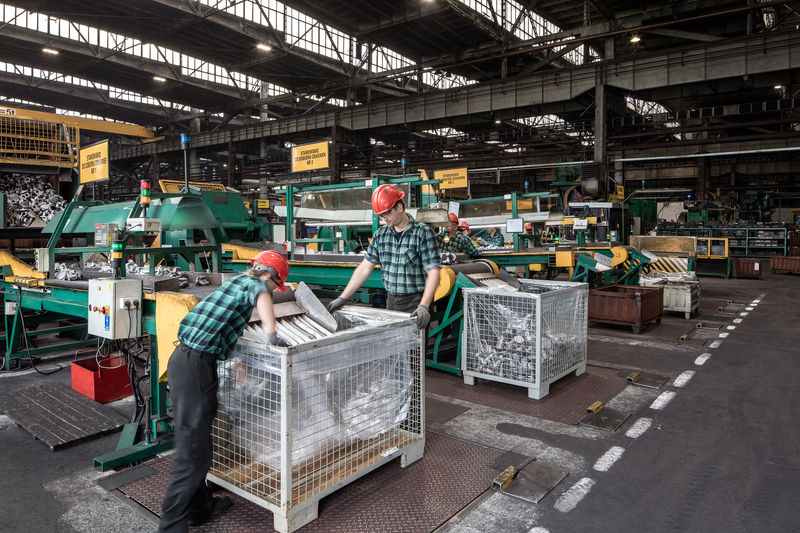 Removal of excess material in the form of fins – this is a dubbed trimming operation on crank or eccentric presses. 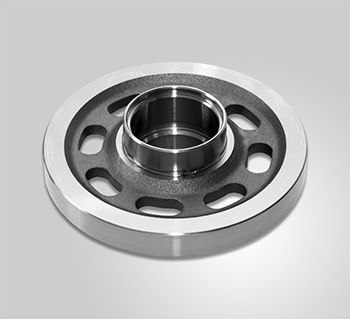 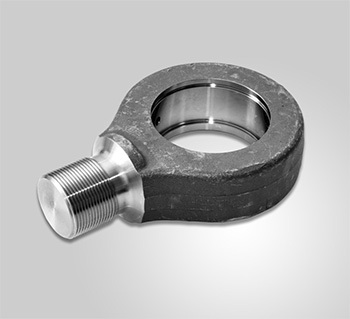 During this stage of the production process aperture swaging, bending and calibrating is performed. 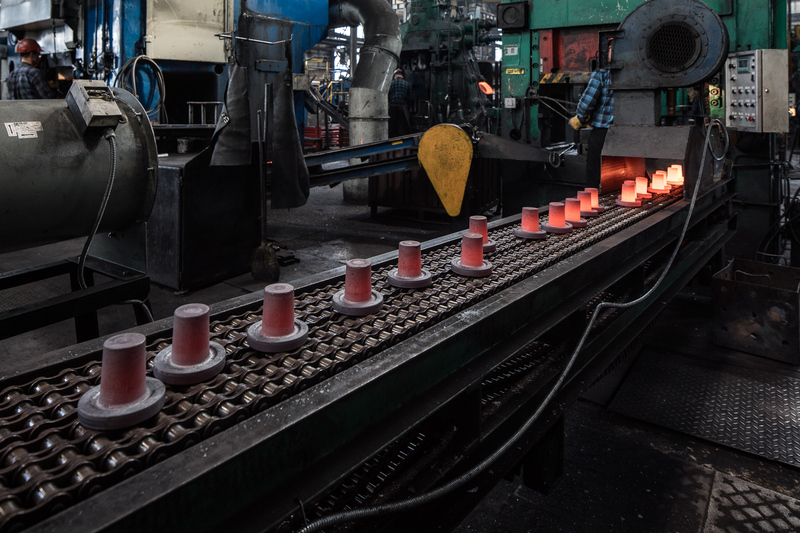 Heat treatment of the forgings aimed at giving the forging high strength. 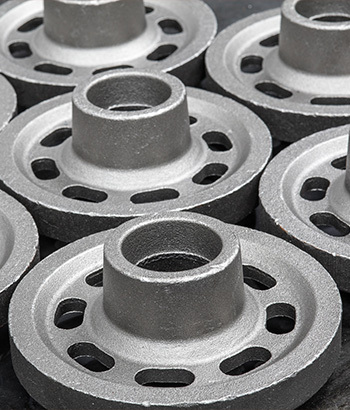 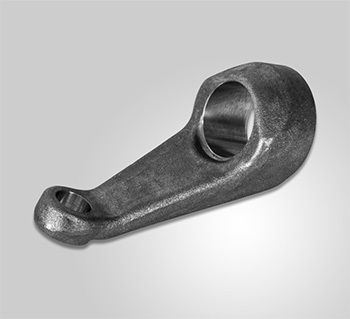 In carbon and alloy steel forgings heat treatment in the form of quenching and tempering (quenching in water, oil or polymers), normalizing or isothermal annealing is used. 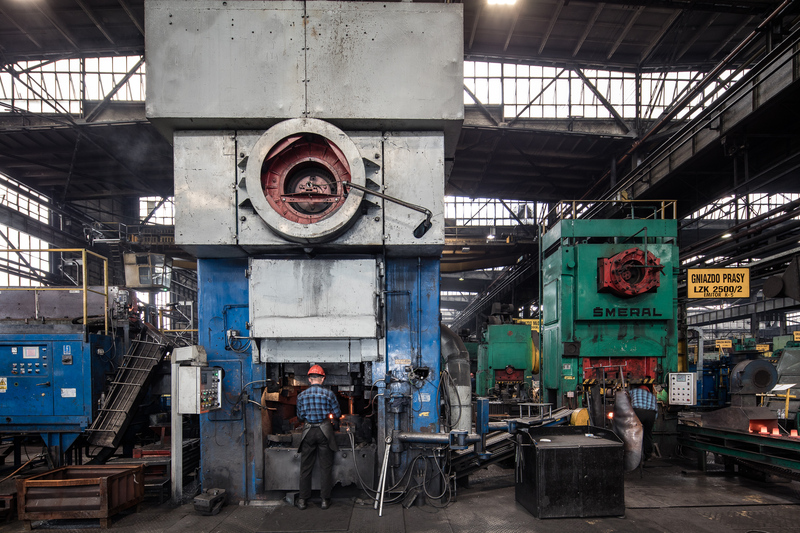 Strength is also attained through a controlled cooling after forging. 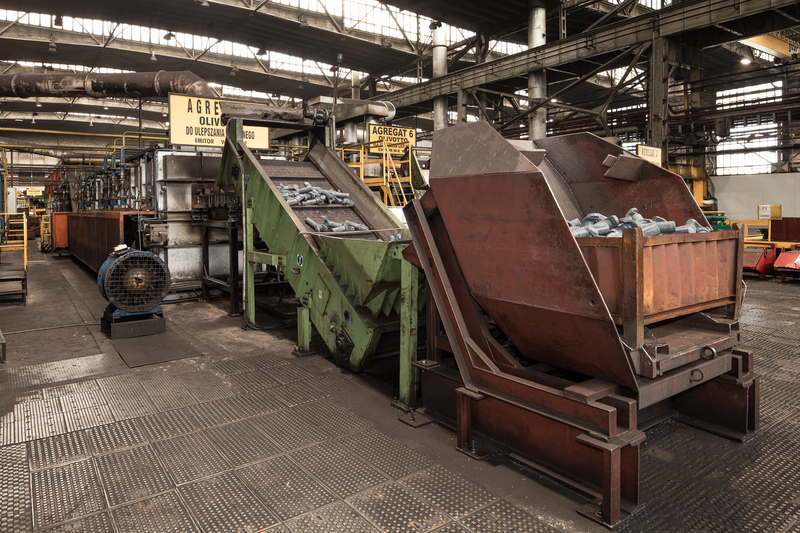 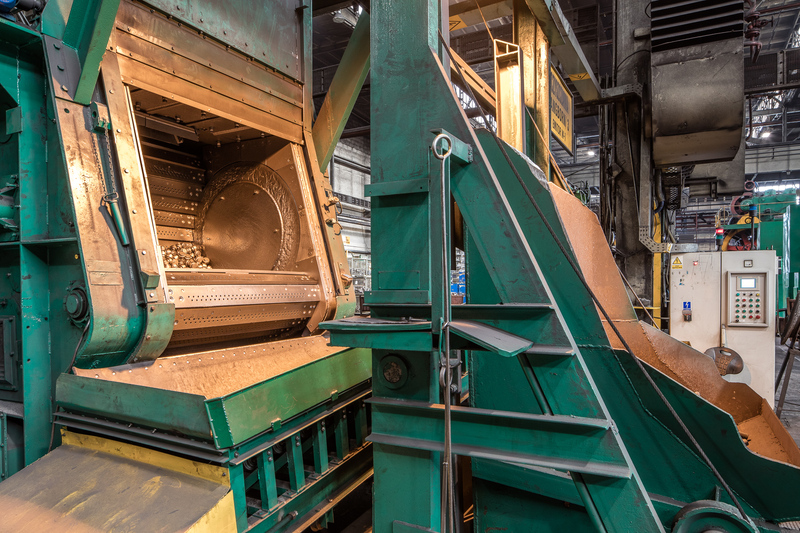 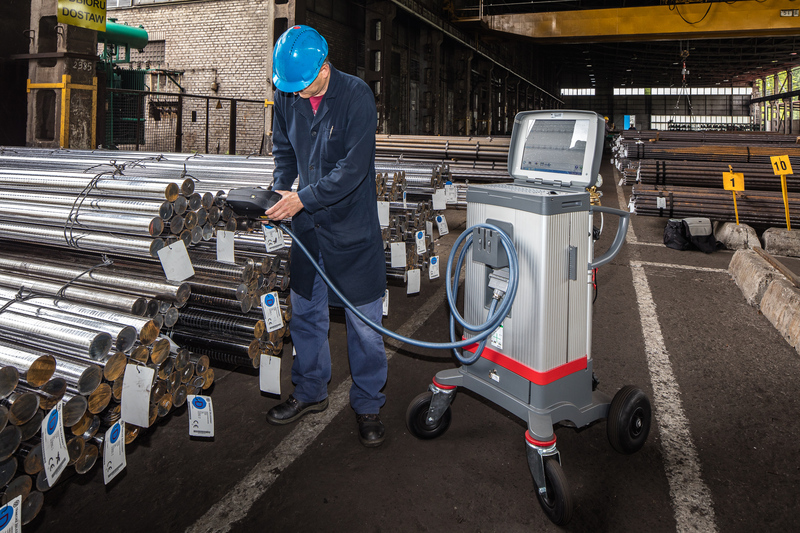 Shot blasting operation – cleansing of the forging’s surface of so-called scales (hard surface bloom resulting from steel oxidation at high temperatures). 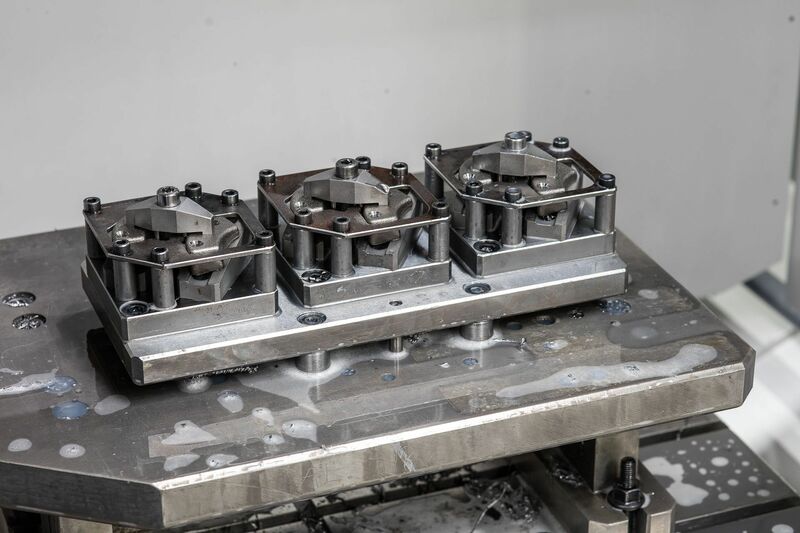 This operation takes place on special machines called shot blasters, which use steel pellets of great hardness and with a shot diameter ranging from 0.8 to 1.2 mm. 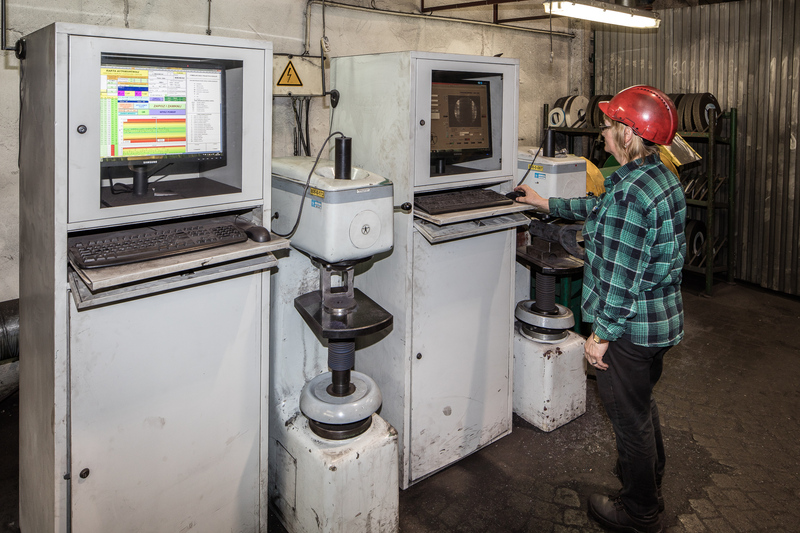 Finishing operations including cold calibration, straightening, marking, grinding and burnishing. 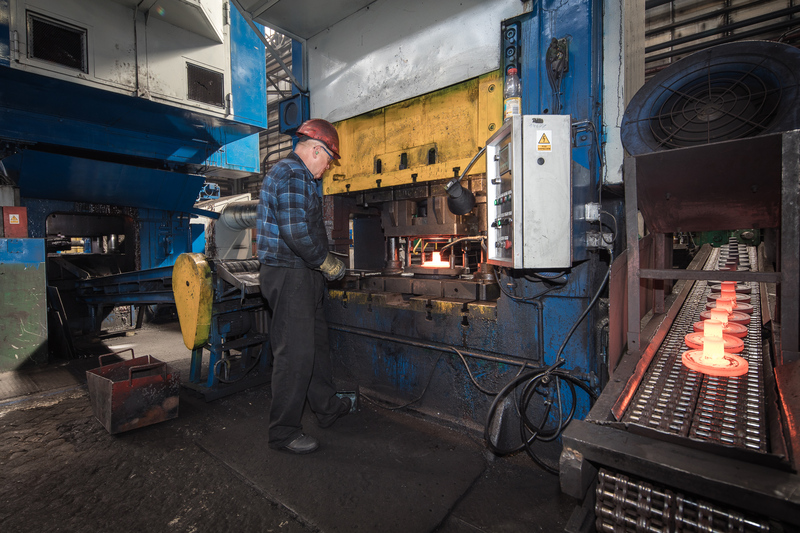 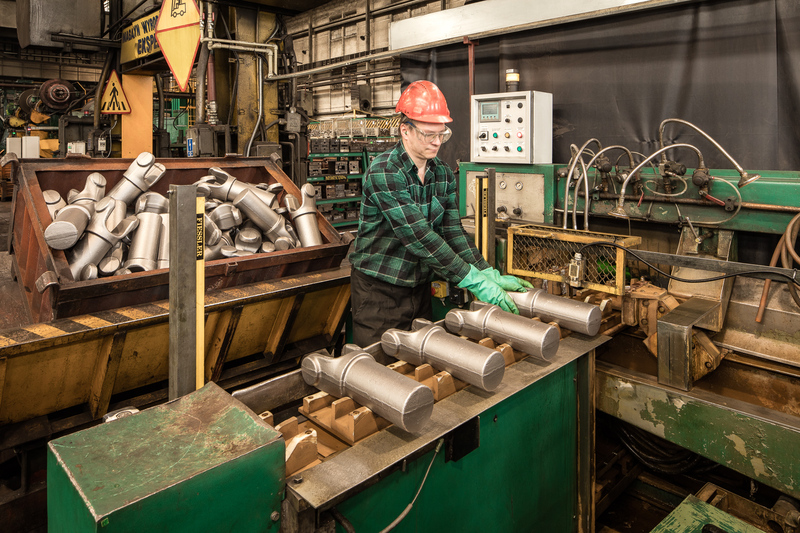 Meticulous visual inspection of each item in order to ensure 100% faultless forgings: with underfills, joggles, scale pitting, cold shuts. 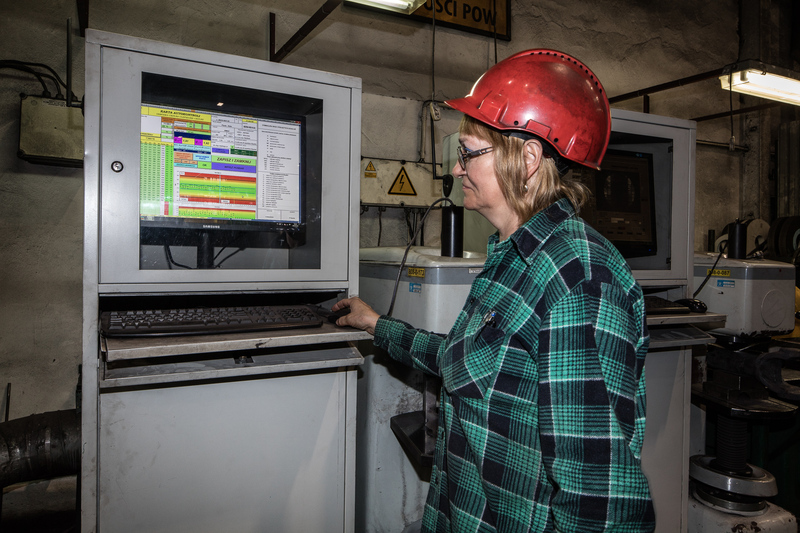 Final control aimed at statistical checking of the quality of manufactured forgings and to provide a quality warranty through quality certification in accordance with the client’s requirements. 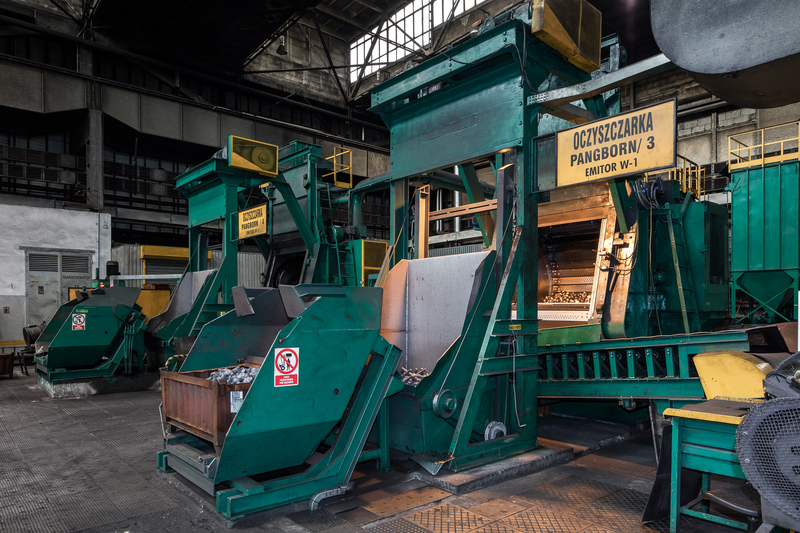 HASENCLEVER Few smaller presses with forming force of 5 MN, screw presses with screw diameter of 180 mm and few hammers – 3000 kg ( hit energy 10 000 KGm ), 2000 kg, 1000 kg, 500 kg. 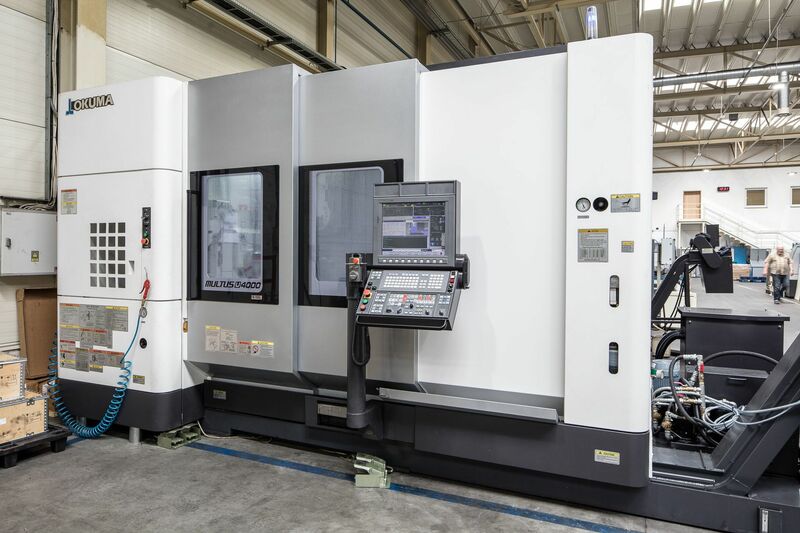 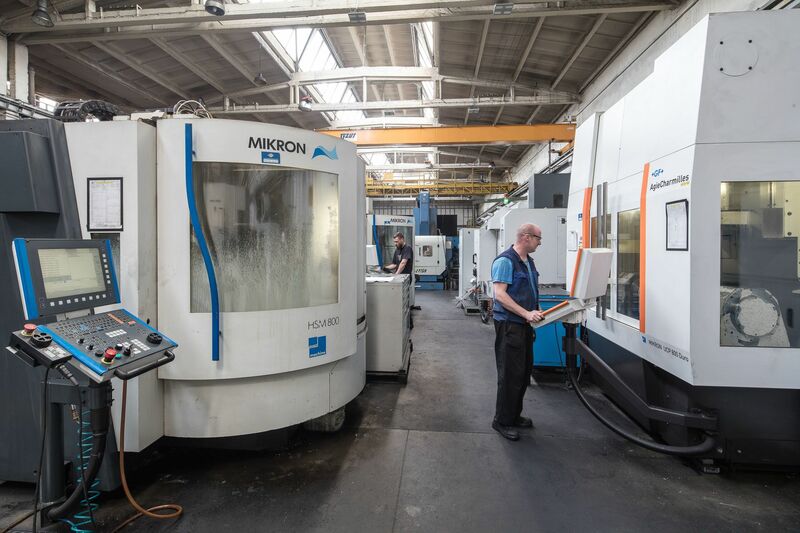 In order to meet Customers’ expectations, Kuźnia Polska S.A. has broadened its range of ready-made machined products. 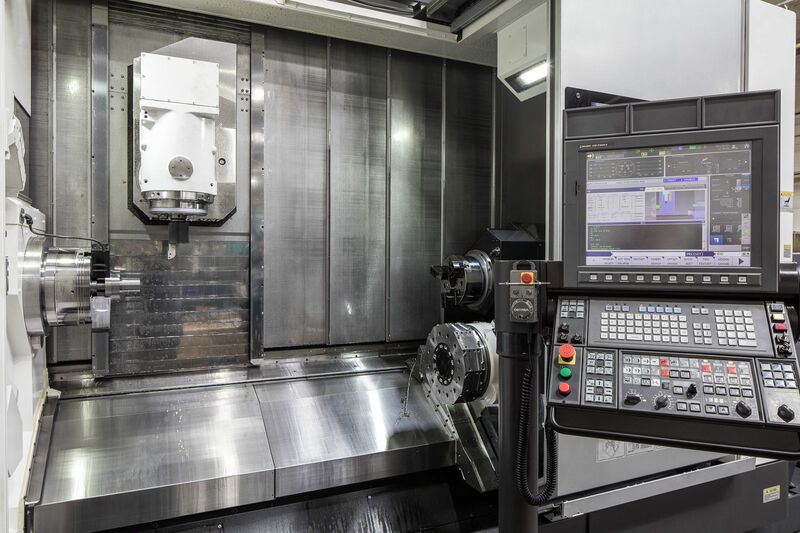 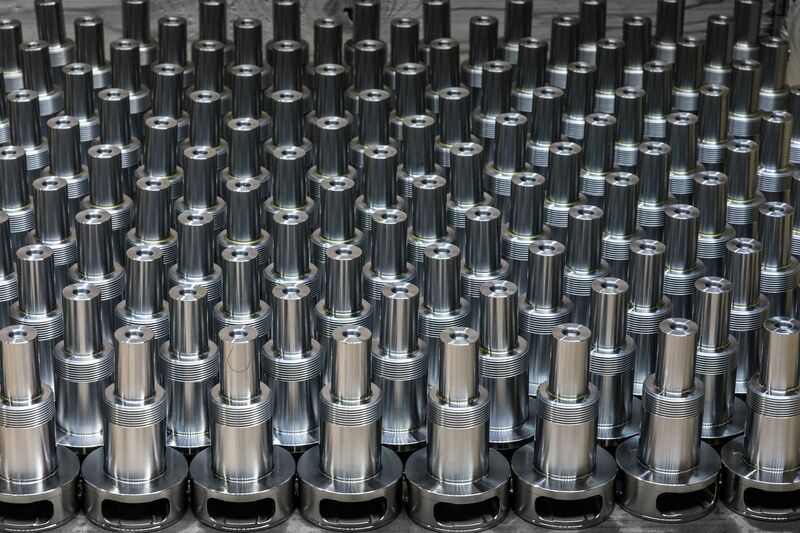 At present our stock of machining tools includes vertical machining CNC centers, CNC lathes with powered tools, which also perform drilling and threading, vertical and horizontal milling machines, turning lathes, drillers, relieving lathes and hydraulic presses. 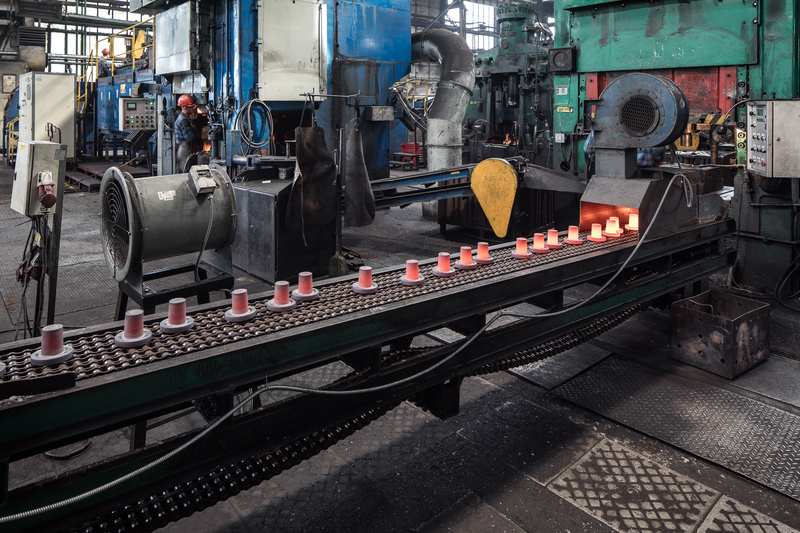 We produce mainly ready-made elements such as levers, flanges and towing hooks. 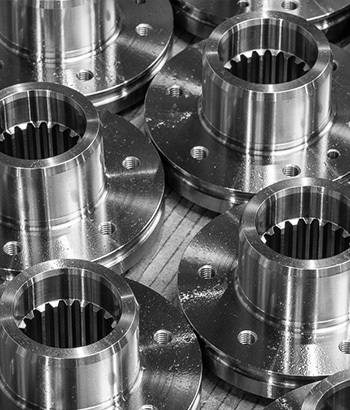 Any process engineer, who designs the process, must also take into account a number of important parameters, which cover both the technological possibilities of the forging element (in other words giving it the desired shape) and the functional qualities, that the client stipulates, such as hardness, resistance, hardenability, structure etc. 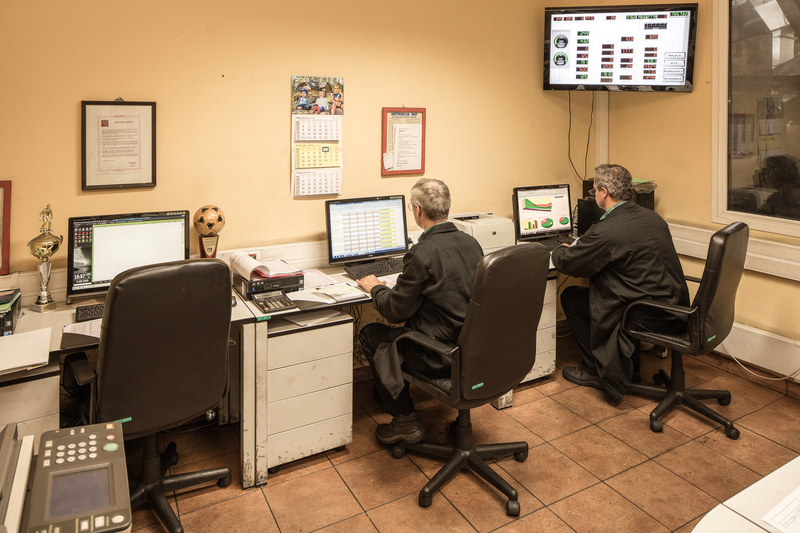 The basic premise of our strategy is to offer the product that is processed to a maximum degree. 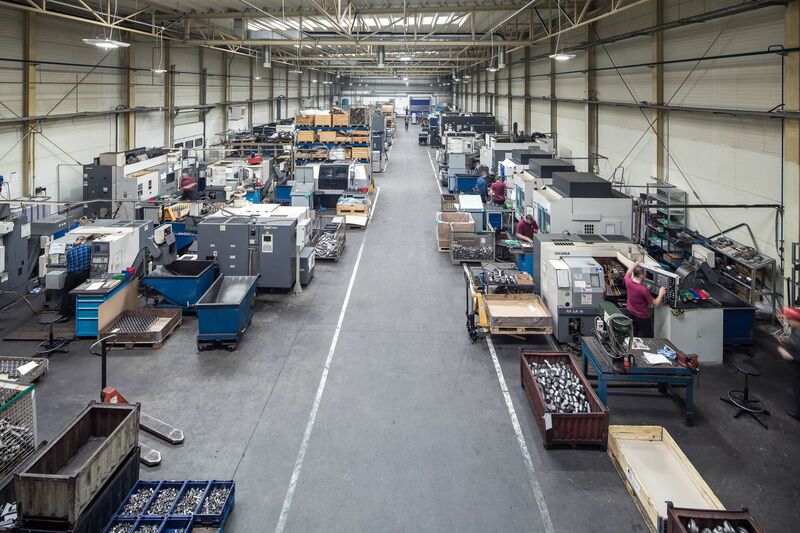 Currently it is approximately 25%. 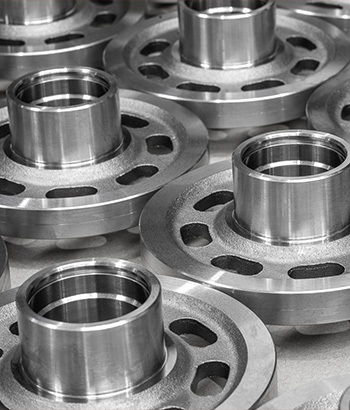 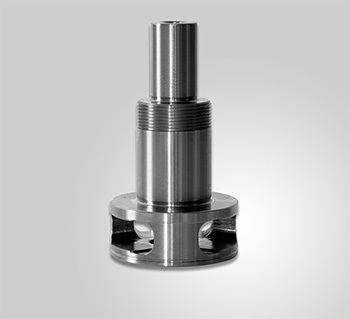 We also offer only machining services without the forging process for some of our products. 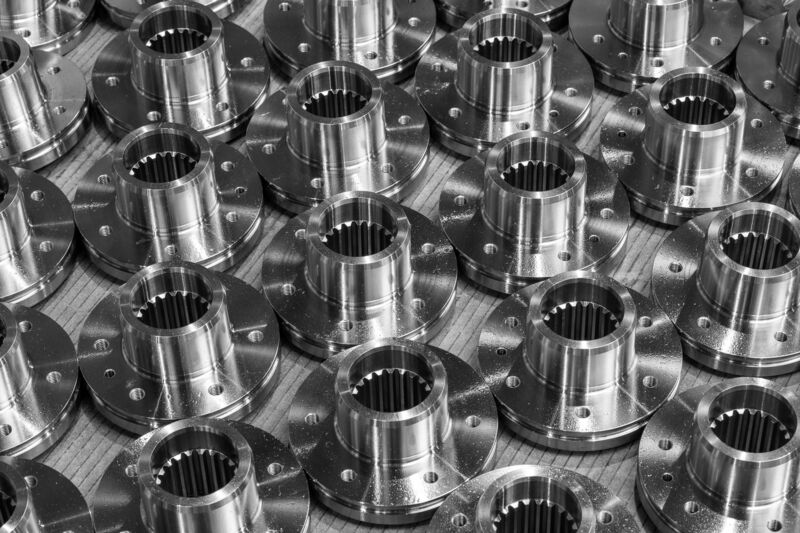 Our strategy: to be a supplier of components for assembly lines. 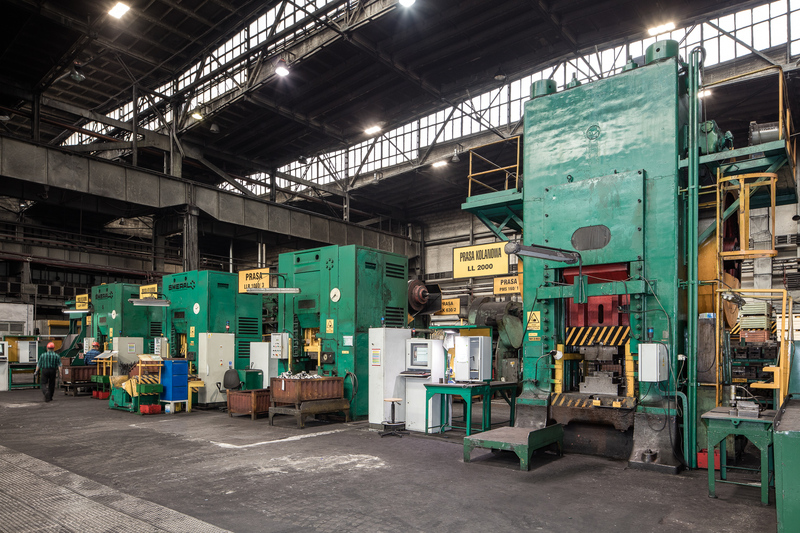 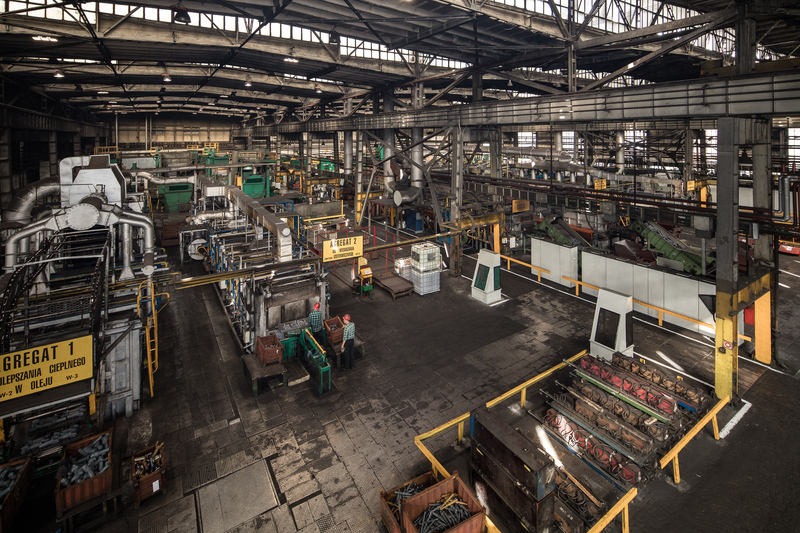 Kuźnia Polska disposes its own Tooling Room, serious modernized in 2005 being self-made toolmaker, ensuring the production processes so flexible as possible and offering very professional service outside. 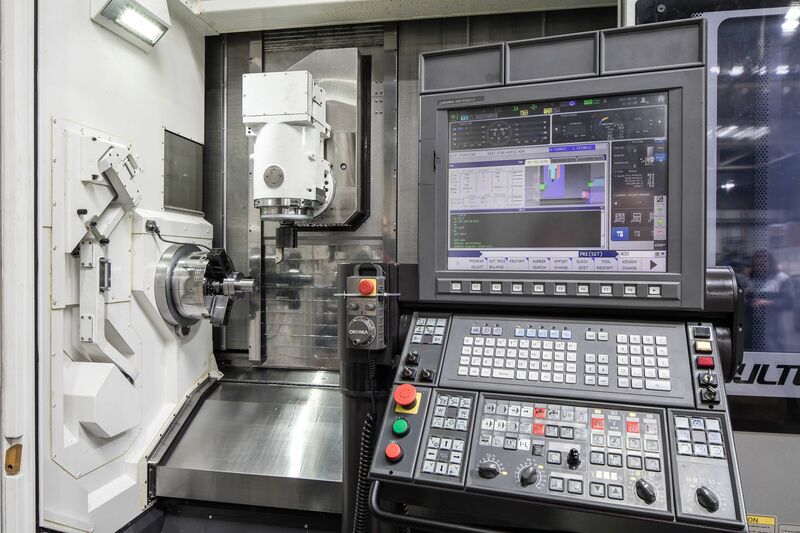 Continuously upgraded machines and IT systems are able to keep the highest market needs. 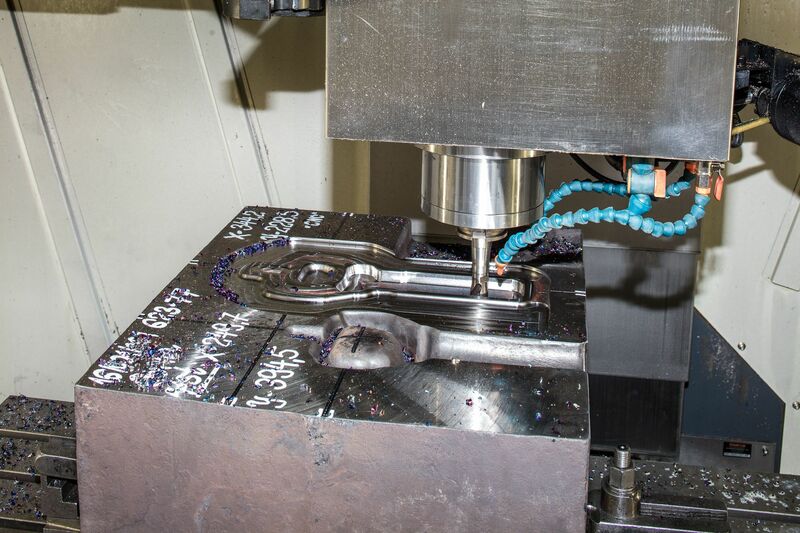 Designing, engineering and programming of CNC centres are performed onto the advanced CAD/CAM positions. 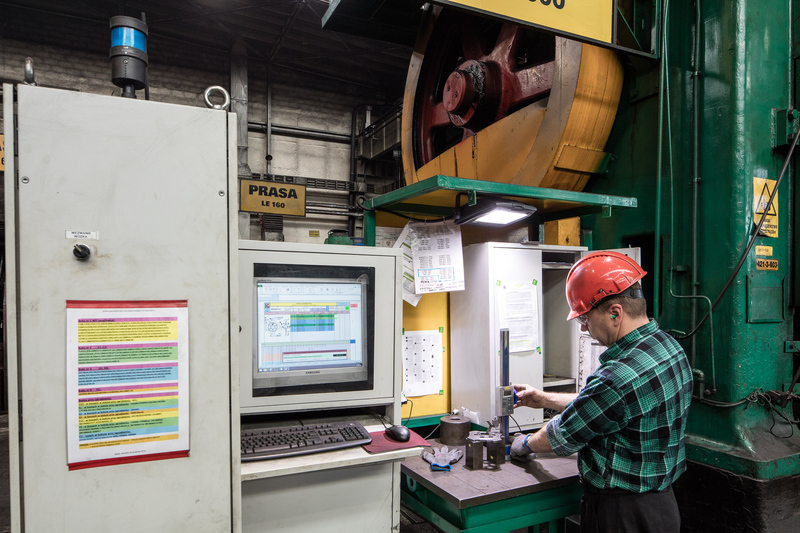 The leading software is CATIA. 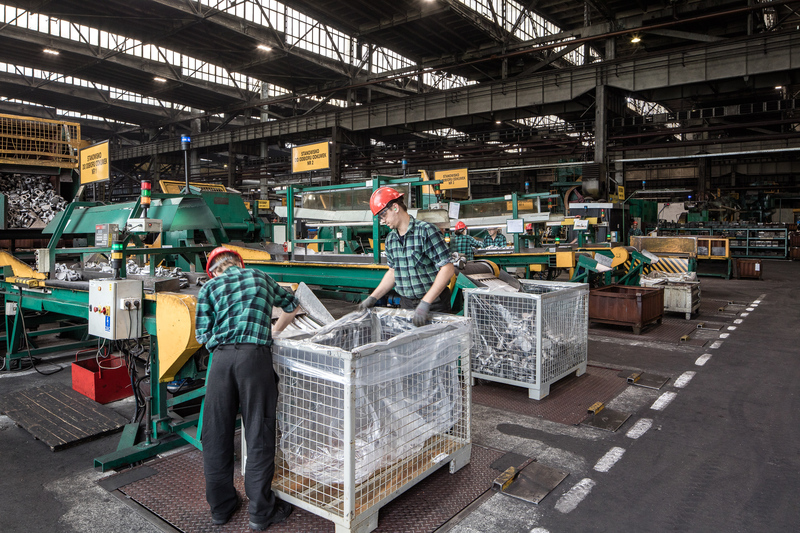 75% of the forgings produced by Kuźnia Polska, are dedicated to multiserial and repeatable manufacturing to automotive and truck branch. 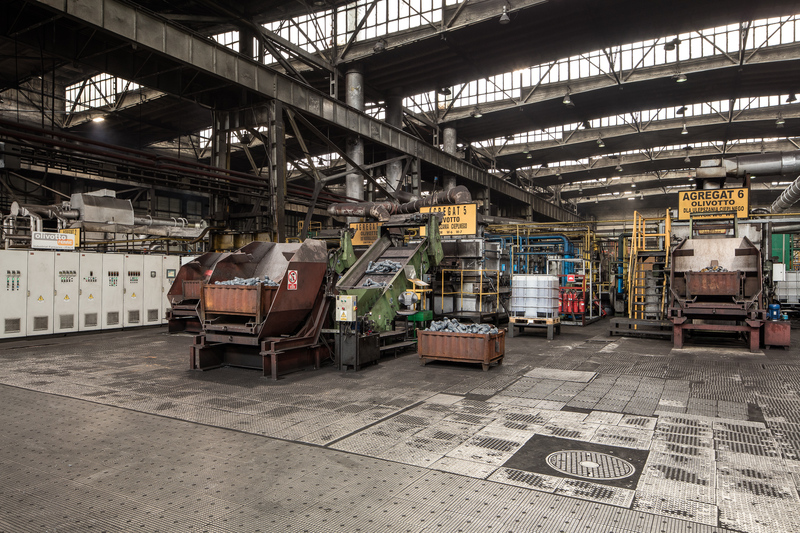 3% of our assortments supply the renewable energy and railway sector.